Pervez Musharraf’s trial has been postponed after explosives were found on his route to court in Pakistan’s capital Islamabad. The special court hearing on treason charges against Pakistan’s former military ruler will now take place on January 1st. On Monday, Pervez Musharraf’s petition that only a military court could examine his actions was rejected. Pervez Musharraf, who is on bail in several other cases, says all the accusations against him are politically motivated. He is the first Pakistani former president to face trial for treason. Pervez Musharraf’s lawyer, Anwar Mansoor, told the court on Tuesday that the trial could not go ahead because of a heightened security threat. Police said 5 kg of explosives had been found along the route to the National Library, where the hearing is taking place. The court granted Pervez Musharraf a one-time exemption from appearing, and ordered the court registrar to ensure he had safe transit on January 1st, where charges will be read to him. Pervez Musharraf seized power in a military coup in 1999 and remained president until 2008 when a democratically elected government forced him to resign.He went into exile soon afterwards. 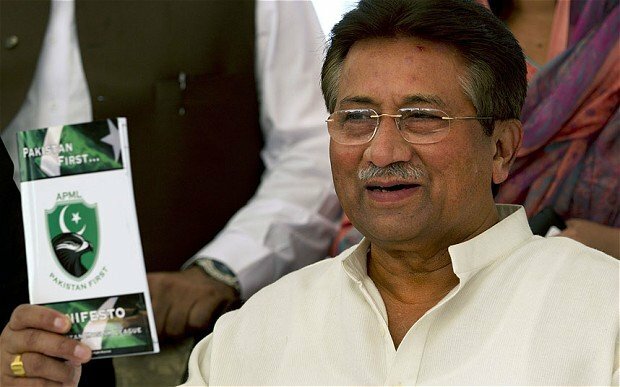 On Monday, Pervez Musharraf’s lawyers had argued – unsuccessfully – that as he was the army chief in 2007, only a military court had the authority to try him. But Islamabad’s high court rejected the petition. It also dismissed objections over the appointment of judges and prosecutor. Pervez Musharraf ousted PM Nawaz Sharif in a bloodless coup. After his resignation in 2008 he left Pakistan to live in self-imposed exile in Dubai and London. On his return in March Pervez Musharraf hoped he could lead his party into elections, but was disqualified from standing and found himself fighting an array of charges relating to his time in power. Mariah Carey disses Eminem on Watch What Happens Live!